Strategy 2 Market and Tempus announce a new solution designed to simplify the difficult task of product development project selection and resource management. 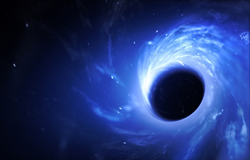 One of the biggest black holes for organizations is resource management. It is a dark and difficult place to get out of using either a simple spreadsheet or even a big enterprise solution. Strategy 2 Market® and Tempus partnership partners with Tempus Resource™ to introduce a state-of-the-art solution for solving resource management issues. Is the project aligned with the strategy? Which are the most valuable projects? What happens if project A is executed, versus project B or C? How will this affect the resource pool? Are there resources to do these different projects? Based on current resources, how many projects can be delivered? Answering what-if questions like these is cumbersome at best in most portfolio management systems. The Strategy 2 Market and Tempus Resource solution is designed to support analyzing scenarios and tradeoffs. It’s so easy to use that resource allocation meetings can perform real-time analysis and decision-making. Strategy 2 Market has extensive expertise in process, portfolio management and resource management. We work with organizations in developing and implementing a system that is easy to maintain and is repeatable. Our expertise tied with Tempus Resource brings the total solution together for your organization. Strategy 2 Market is a product development consulting firm that helps companies increase growth and decrease product development complexity.